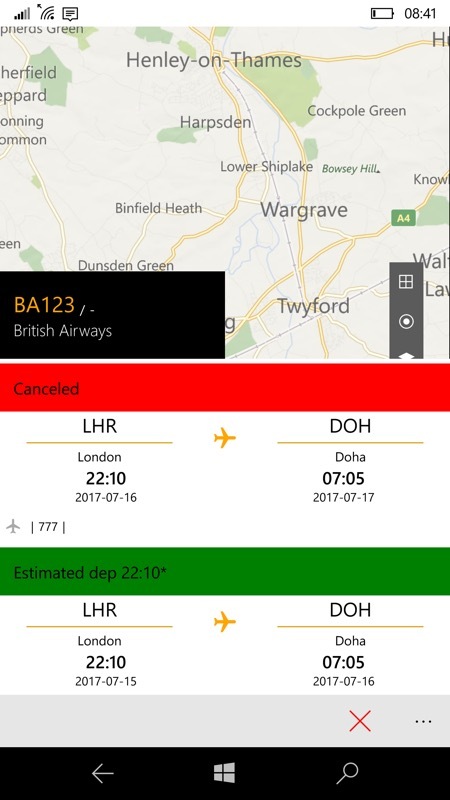 With the demise of the old Windows Phone 8.1 (Silverlight) Flightradar24 application (though you can probably get it back by using this technique), an alternative and equivalent UWP application for Windows 10 is very welcome. 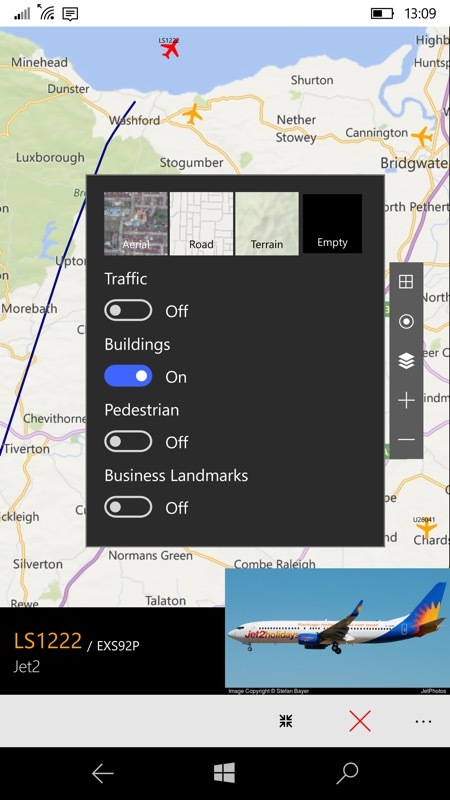 Don't get too excited yet, mind you, as Flights Radar UWP is still at the 'preview' stage and is prone to crashing, but there's enough here to be worth supporting - when it works, it works very well indeed. 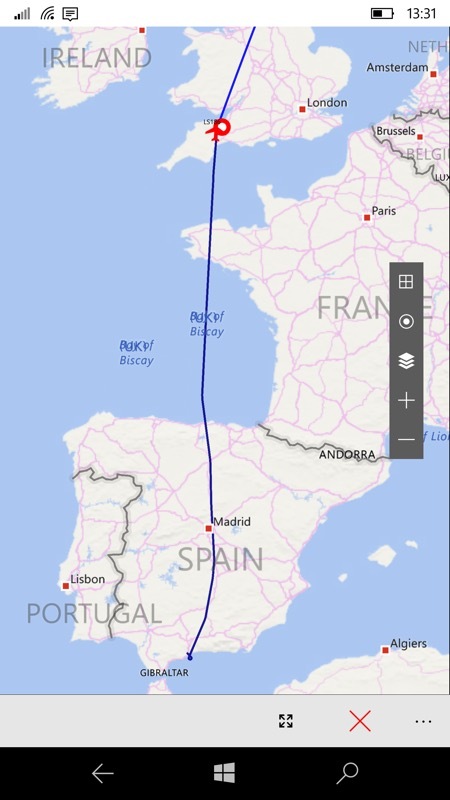 Flights Radar is a global flight tracking application for Windows 10 devices, included Desktop, Tablet and Mobile. Flights Radar provide real-time information about thousands of aircraft around the world. This app still in preview mode, may experience crash and slow, please feedback to us for improvement. That warning is appropriate, I was using this new UWP app on a Lumia 950 XL with 3GB RAM and I'd still get a crash or other issue every few minutes. 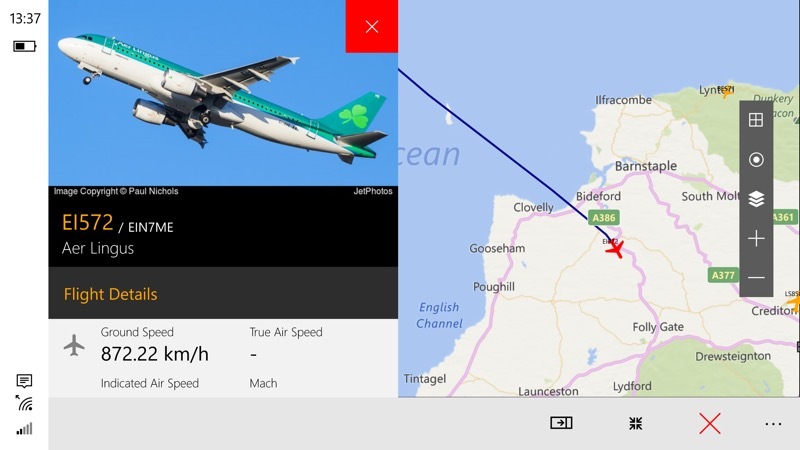 I don't underestimate the amount of stuff that Flights Radar is doing - from using the Windows 10 Maps engine, accessing the flight information, integrating it and handling UI interactions and swipes - but it still shouldn't crash this much. Still, that's why the developer is up front with the 'preview' nature and he's clearly working on fixing the issues, so it's worth bearing with him, I believe. If only because this is the only application of its type on the Windows 10 platform at the moment. 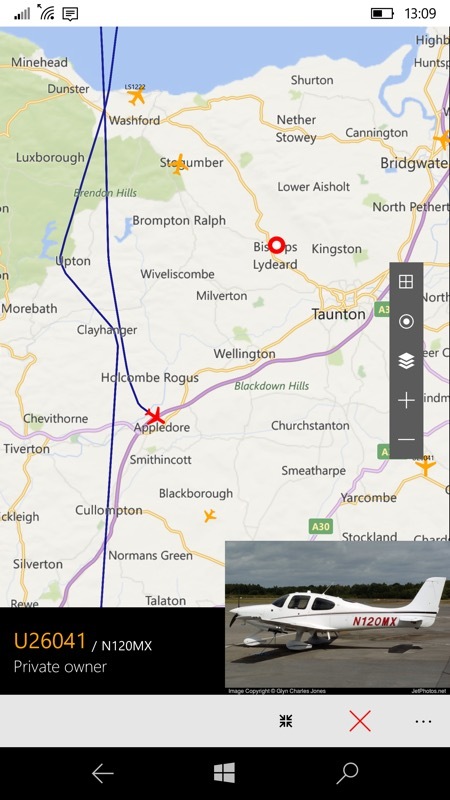 As with the original Flightradar24, the idea here is to pan around the map, zooming in and out and with plane symbols shown wherever aircraft are in the sky in real time. Tapping on a plane symbol pops up a typical photo of the type (sometimes the exact aircraft). The zoom control in the bottom toolbar is somewhat lonely, but does allow the view to dramatically zoom out to show the whole of your selected aircraft's route - very nicely done. 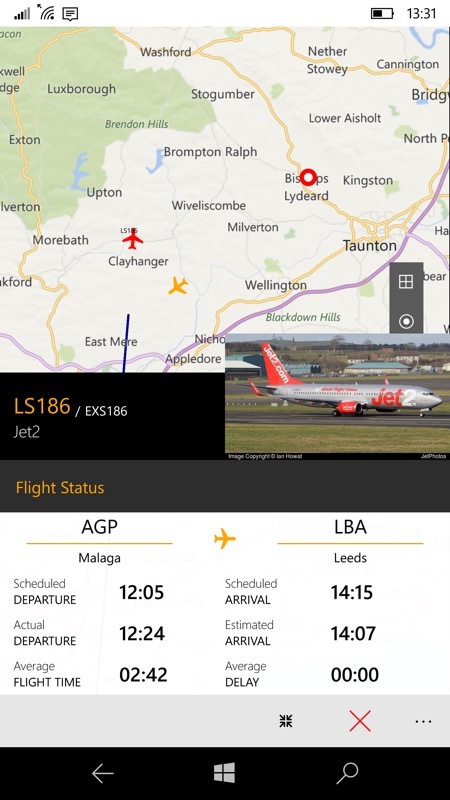 Swiping the plane summary up then shows all the usual data: take off airport, destination, timings, and so on - everything you might need as a casual plane spotter! This being a UWP application for all Windows 10 devices, you won't be surprised to learn that it also works just fine in landscape mode - in fact, the interface adapts, with plane data appearing in a separate pop-out window - this split screen approach (shown below) works really well. 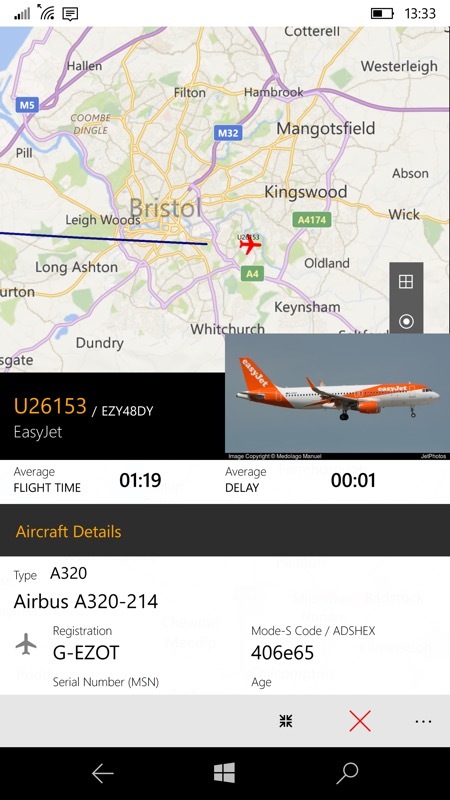 The screenshots here do flatter Flights Radar slightly - there's quite a bit of waiting around, with load times for the plane icons sometimes in the region of ten seconds and with the aforementioned crashes when the workload simply gets too much for the app. But, as you'll have surmised from the graphics, it's worth the effort and I'd advise patience with the developer here. 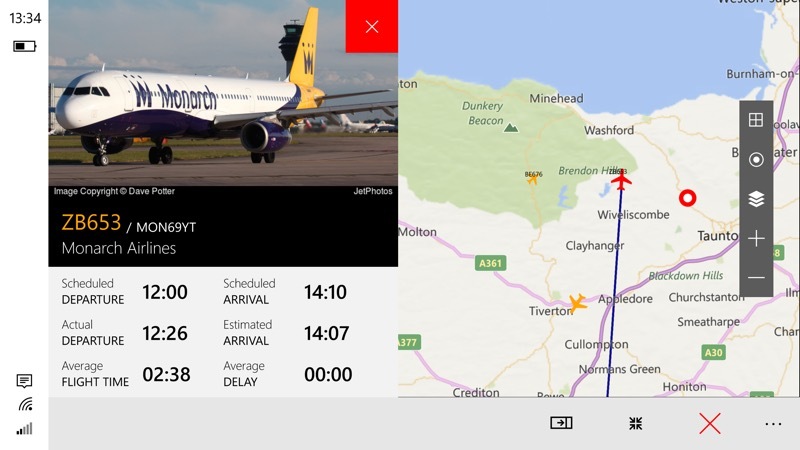 In terms of monetisation, Flights Radar UWP is free to download and then there's a small 'remove ads' in-app-purchase which I did immediately so that they didn't intrude on the review graphics here. 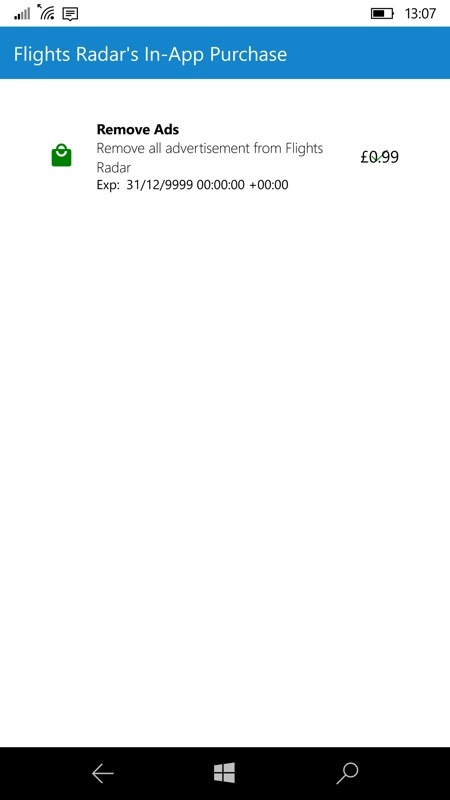 There's a fledgling search facility too, with a search bar (not shown here) that appears when no aircraft is selected. 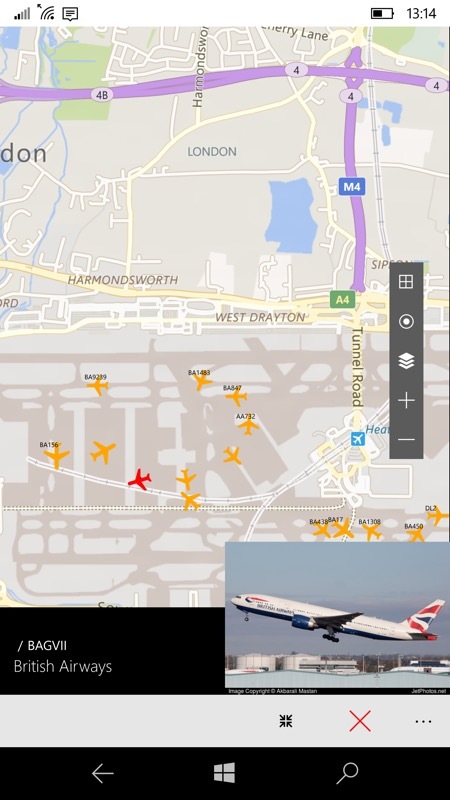 Here you can search for airport and aircraft/flight codes - this seems flaky too, along the same lines as the main UI and its performance, but I'm sure the developer will sort things out in a version or two's time. Especially if he gets some in-app-purchases to fund his efforts along the way - why not get involved?